If you're a woman who enjoys playing golf and would like to become involved with a friendly group, consider joining our Ladies Golf League. 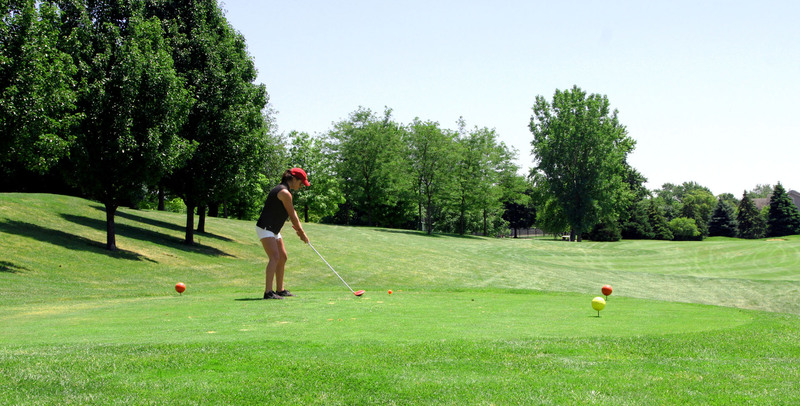 Whether a beginner or advanced player, the Ladies League will provide a fun and social element to your week. Want to play at the same time each week? No problem! Secure your time slot by completeing our request form. We'll let you know if your desired day/time is available. With a USGA handicap, golfers of different abilities can compete equally. The USGA Course Rating System rates golf courses in relation to all other courses and adjusts a player's USGA Handicap Index in relation to how difficult the course is. Certified Golf Handicap, Inc. provides USGA Handicaps to clubs, leagues, and groups across the nation. No call of action – $15 Fee.